PORTLAND, OR, 05/11/2017 — Image Comics/Skybound Entertainment is pleased to announce that the third issue of the breakout hit EXTREMITY, from Space Mullet creator Daniel Warren Johnson, is being rushed back to print in order to keep up with customer demand. 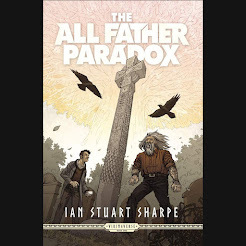 All three issues of this wildly successful dystopian series have now earned multiple printings. Not so long ago, Thea was an artist. She had a family. Now she is consumed by vengeance. However, Brynjar is a hunter by nature, and hunters are not easy prey. 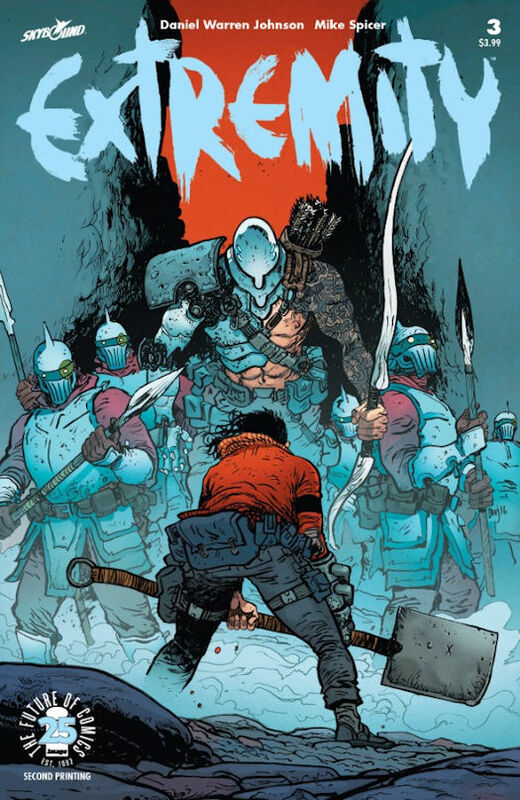 EXTREMITY #3 remains available for purchase across all digital platforms, including the Image Comics website (imagecomics.com), the official Image Comics iOS app, Comixology’s website (comixology.com), iOS, Android, and Google Play. EXTREMITY #3, 2nd printing (Diamond code: MAR178786) and EXTREMITY #4 (Diamond code: APR170807) will be available in stores Wednesday, June 7th. The final order cutoff deadline for comics retailers is Monday, May 15th.